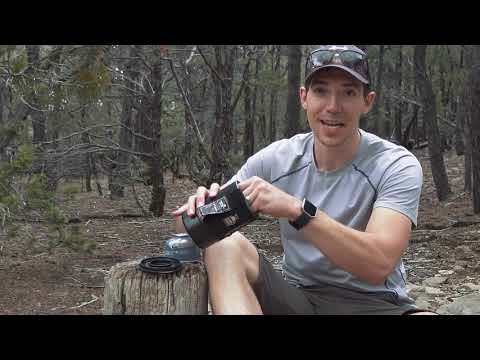 The minimalist version in the Jetboil line-up. Rehydrate simple meals and brew up hot drinks with this super-compact, efficient personal cooking unit. Great for solo hikes and very light backpacking trips. 0.8L cooking cup with insulating cozy and integrated FluxRing heat exchanger. Drink-through lid with pour spout and a strainer. Bottom cover doubles as a measuring cup and bowl. Note, this model doesn't have a piezo ignitor or thermo-regulator. Boil time for 0.5L is 2 minutes. Boils 12L of water per 100g Jetpower canister. Uses Jetpower canisters (available separately). Stoves are designed to burn specific fuels. All stoves should only be used with recommended fuels to prevent damage. The average time it takes to boil 1L of water. Wind, air temperature and elevation will affect boil time in the field. The output of any heat generating device is shown in BTUs (British Thermal Units) which measure the amount of heat energy needed to raise the temperature of 1lb. of water by 1°F. Heat reflectors are placed under the burner and reflect heat back up towards the cooking pot. This helps save fuel and speed cooking time. Liquid fuel stoves require a fuel pump to pressurize the fuel tank.